Situated between the Kawarau Gorge and Cromwell, New Zealand Nut Producers is one of the country’s longest established walnut orchards. 30 years after the first trees were planted, production is growing annually with a strong demand for Valda and Otto Muller’s high end organic products. Swiss-born Otto’s background was in engineering, while Valda’s background was in teaching. Otto bought the land on Pearsons Road in 1962 but it wasn’t until 1986 that they began experimenting with walnuts. Valda carried on working for another 30 years – a reality when your business plan has a 20-plus year payback period. Valda: I wasn't concerned about how long it was going to take – I enjoyed teaching! I’ve always had a very strong root in Central Otago and a major pull to this part of the world. I’m a nutritionist at heart – if I was to be involved in growing food it needed to be of high nutritional value – hence the walnuts. Mullers are very aware of the integrity and honesty of Central Otago’s natural environment. Everything they do is designed to be sustainable. The farm is organically certified with Organic Farms NZ and managed with sustainability of paramount importance. When I take walnuts down to the Otago Farmers’ Market in Dunedin, our produce goes down in bins – and those bins come back with kelp or fish waste to improve farm fertility. We chose to plant proven export-quality walnut species – just like the local wine growers, who didn’t plant any old grape; they went for the top shelf. It’s the same philosophy for us. As initial shelter belts are no longer needed they are removed and we are propagating and planting kowhai and manuka. We want to protect the heritage of the area, because that sustains the future too. 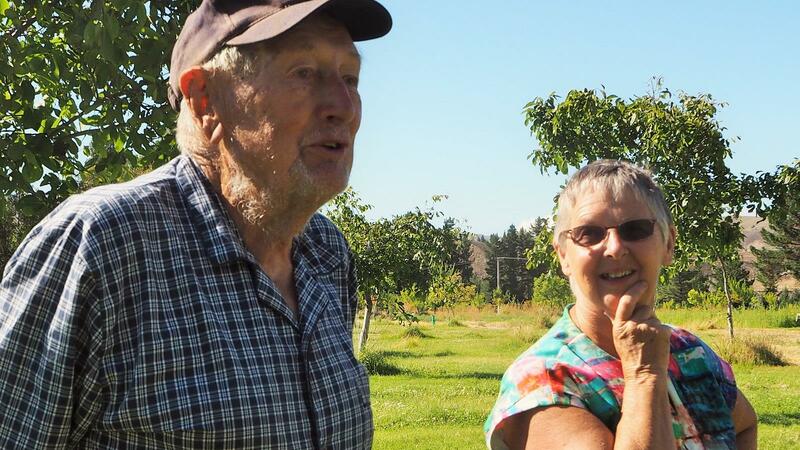 Otto and Valda realise that producing walnuts in an environment as challenging as Central Otago does set them apart. Whether they intended to or not, they are inspiring and guiding others to take on challenge. When you step out of the square and do something different, it’s part of the journey of discovery. Is it going to work? Or how is it going to work? If you can grow walnuts here, it can be done elsewhere. We regularly host farm tours – Lincoln students, other walnut growers, organic producers, even a group from the States. It’s valuable for people, particularly those from easier environments to see what we are doing and realise that if we could, then they can transport that information back to their operation. With a 20-year business plan comes a greater desire to add value to the eventual product. The annual harvest is increasing year on year and so is the Muller’s interest in market opportunities. Otto’s engineering skills alone add value to the process and the product. When he’s not happy with the equipment available to purchase, he goes ahead and makes something better – he holds NZ patent for our sheller and he could apply for world patent on the harvester. We process walnuts into roasted nuts, walnut meal, butter, oil and flour – all 100 per cent nut product. We also have our own recipe for pickled walnut – with no salt or sugar. Longer-term, I see us developing more products – everything organic and a strong health bias. Eventually we’ll have enough shells for paint producers and cosmetic manufacturers.